Love cheese? Love wine? 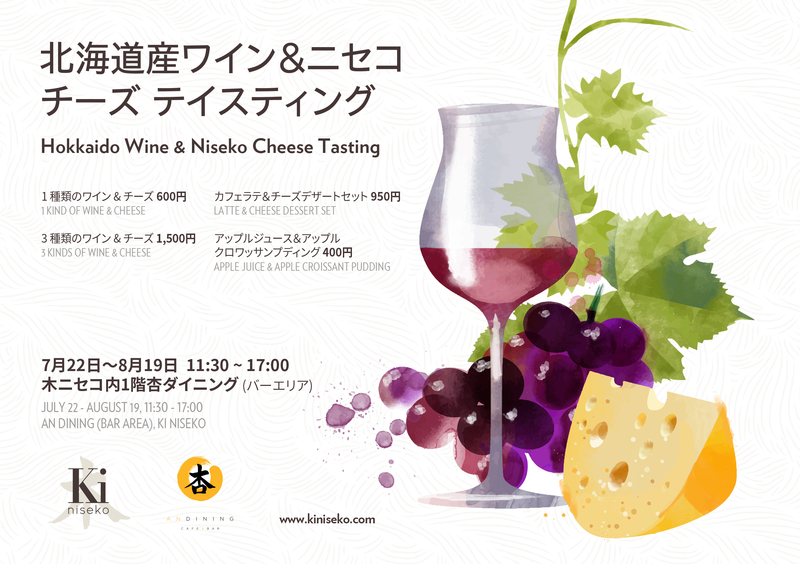 Then come along and join us for our Hokkaido Wine & Niseko Cheese Tasting Events on at our in-house bar and restaurant, An Dining. So come and along and join us for this fabulous summer food event!